Loughton Direct is a service we provide directly for our corporate clients on day two of a project. Your fast and personalised route into this online service is through a free, secure client portal. It takes you direct to the detailed, comprehensive online operation and maintenance manual we supply at the end of every project. 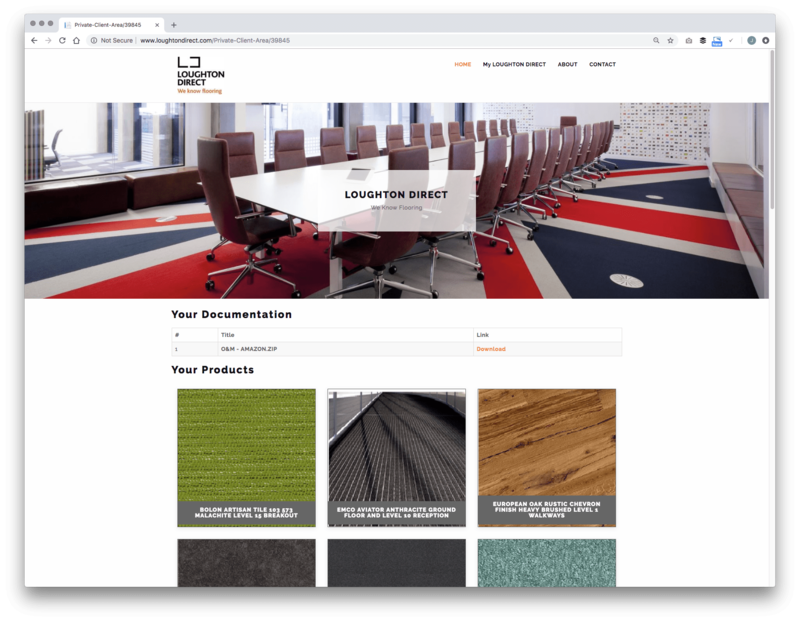 As well as confirming what products have been installed where within your building, you’ll be able to see product images, specification sheets and maintenance recommendations. You can buy spare tiles and some maintenance products online. And you can place orders for our expert installers to replace or exchange your tiles. You can continue to call on us for maintenance, making changes, repairing damage, supplying replacements – everything you need to keep your flooring in top condition.